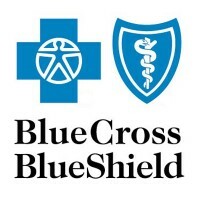 Blue Cross Blue Shield (BCBS) is a group of companies that provides healthcare coverage to its members. It has around 36 different health insurance organizations and companies catering to almost 100 million people. In 1929, Blue Cross was spearheaded by Justin Ford Kimball. Blue Shield was founded by lumber and mining camp companies of the Pacific Northwest in 1939. In 1982, a merger was formed between the two companies thus establishing BCBS. The company provides health insurance coverage to 50 states of America, Puerto Rico and the District of Columbia. It also houses around 5,000 employees who assist all members for their health insurance benefits. The company extends its comprehensive benefits to all of the employees. These include a health, dental and vision insurance, disability and life insurance, and business travel insurance. The company also gives paid holidays, maternity and paternity leave, and military leave. The company started different programs to provide assistance to employees. They offer transit and parking reimbursement programs, employee assistance programs, and even a fetch pet program. The company also recognizes employee efforts and contributions through various Service Award programs. How old do you have to be to work at Blue Cross Blue Shield? To work with the company, an individual should be 18 years old and above. Additional requirements such as educational background or work experience depends on the position applied for. Blue Cross Blue Shield is a group of companies that employ thousands of employees. They make sure to hire the best team of administrators, healthcare professionals and other specialists to ensure that they provide the best service to their consumers. Executive Assistant: An Executive Assistant provides administrative support to the management. They act as coordinators with different departments. They arrange meetings and review all incoming and outgoing documents. Executive assistants also handle the confidential or sensitive documents addressed to their direct superiors. Political Affairs Coordinator: A Political Affairs Coordinator organizes the daily activities of the company’s Political Action Committee (PAC). He is also involved in the strategic planning of fundraising activities to strengthen the PAC program. The coordinator also sends political updates to PAC members through newsletters and emails. Finance Staff Accountant: A Finance Staff Accountant ensures that all financial transactions of the company and its affiliates are processed in a timely and accurate manner. He also assists in the company’s audit and is involved in the month end close process. The accountant is also responsible for the documentation and reporting of monthly or periodic financial results. Transaction Processing Analyst: A Transaction Processing Analyst develops measurements to evaluate the company’s processing performance. He identifies potential transaction problems and provides troubleshooting solutions to the team. The transaction analyst also conducts studies and makes report comparing company benchmarks versus the actual performance. Brand Marketing Associate Consultant: A Brand Marketing Associate Consultant supports the marketing team with the development and implementation of a successful brand campaign. He monitors project expenses and closely communicates with finance partners and vendors. The Associate Consultant also makes sure that there is proper coordination between the company and advertising agencies. Consumer Experience Design Consultant: The Consumer Experience Design Consultant is the core member of the Consumer Experience team. He heads the strategic planning and research to create designs specially formulated for every consumer needs. He directs studies and provides recommendations to solve consumer problems. Strategic Services Consultant: He handles smaller projects or a certain department of a large project focused on strategic planning. He aims to uplift the economic and financial status of a project and the company. The consultant is also responsible for conducting presentations, webinars and meetings to update the management and suppliers on key business strategies of the company. Program Development Consultant: The Program Development Consultant heads staff in creating and developing business programs to introduce the company’s new products and services. He uses surveys and analyzes data on current health care programs and develops new designs to enhance the existing products and services of the company. Program Manager – Clinical Operations: He determines, analyzes, develops and executes health care financing models to help strengthen the services given to customers. He conducts studies and researches for the best practices in the health care industry and determines its value to the business. He also helps the management to develop strategies that may help the company increase business returns. Brand Paralegal: A Brand Paralegal supports the company protect the brand and activities. He reviews company materials to check for proper brand usage in line with License Agreements and Brand Regulations. The brand paralegal also assists in reviewing misuse allegations and helps in developing a plan to propose settlements. To apply for a position with the company, the job seeker may apply on the company’s official website or other job search links. The applicant may also try to check job openings in any office branch near his location. While resumes may be accepted in the branch office, applicants are still advised to register on the company’s official website. Registration and passing of required documents are all done online. The applicant must make sure to comply with the specific requirements set by the specific company. Complete all the information required in the website and check your status regularly to see how the process is going. In writing a successful resume, the applicant must make it concise. Grammar errors and misspelled words do not make good impressions so the applicant should proofread the resume before sending it out. For job interviews, the applicant should research about the company and try to learn a thing or two about the interviewer, if he can. Anticipation of the questions is one of the best tips to ace an interview. Blue Cross Blue Shield is a company founded on helping individuals. It is built within a culture that aims to help and build programs and partnerships to uphold the communities’ health and wellbeing. The Palliative Care Program initiated in California has been expanded to extend its services to those who need it at home. The BCBS North Carolina has launched a Pregnancy app to help members be informed more and monitor their pregnancy. Commitment to improve the health and wellness of the country is Blue Cross Blue Shield’s advocacy. The company is known for offering programs to make sure that healthcare can be accessed by everyone. In line with the company’s mission, the employees engage in various volunteer programs implemented across the country. Programs include playground building for children, blood donations, school mentoring programs, and providing meals to the homeless. 1 How old do you have to be to work at Blue Cross Blue Shield?